Everybody needs a little help, even the most independent people and well-established companies. This is why full-service white label agencies like Ilfusion exist; we’re here to give a helping hand. What’s the deal with white labeling? If you’re a company who needs to get the job done but you don’t have the in-house talent to do so, then outsourcing is the best choice for you. In that instance, you’re faced with a couple of usual choices, both of which have their pitfalls. Hire a bunch of strangers in a warehouse that don’t speak the language, or gamble on freelancers and hope they share your commitment to quality work delivered in a timely manner. While all business endeavors have risks, you don’t have to risk that much when you have a better option: white label outsourcing services. 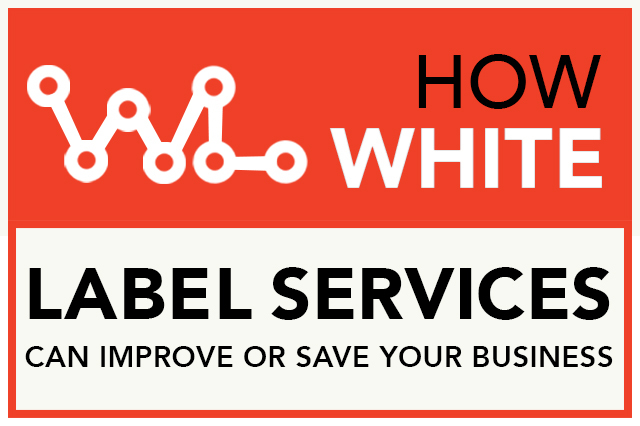 With white labeling, you get to hire talented and skilled workers from a reputable agency and get the job done at a fraction of the cost, without having to sacrifice quality. Best of all, you’re dealing with a company founded in the heart of America. What’s more is that with white labeling, you take credit for the job while being able to put a face to who helped your company. It’s a win-win situation for both agencies. From advertising and marketing to mobile app development, every facet of your business can be outsourced. If you work with a full-service agency like Ilfusion, we offer web and mobile app development, and website and UI/UX design. We work with several marketing and advertising agencies just like yours. We don’t take a cookie-cutter approach when it comes to our white label services; we tailor each solution for the individual needs of our client partners. How will white label services help me? White label outsourcing services can improve or save your business in a lot of ways, but we’ve narrowed it down to three key points. Ilfusion has first-hand experience on how white labeling helped the company in ways that would not have been possible if we didn’t take the risk. One of our founders, Ryan, relocated to the Philippines and started Ilfusion’s tech division to support our own clients. From there, our white label services was born. If you want to know more about Ilfusion’s white label services, give us a call at 888-420-5115 or send us an email creative@ilfusion.com.